the Valley of the Kings, where the magnificent tombs discovered, those tombs were carved deep into the desert rock, richly decorated and filled with treasures for the after life of the pharaohs, you will visit 3 tombs then continue to visit Hatshepsut temple at El Deir El Bahary, this impressive temple dedicated to the Queen Hatshepsut the only female pharaoh . Pick up from your hotel Visit the West Bank including: Valley of the Kings (Is a valley in Egypt where for a period of nearly 500 years from the 16th to 11th century BC, tombs were constructed for the kings and powerful nobles of the New Kingdom (the Eighteenth through Twentieth Dynasties of Ancient Egypt). The valley stands on the west bank of the Nile, across from Thebes (modern Luxor), within the heart of the Theban Necropolis. 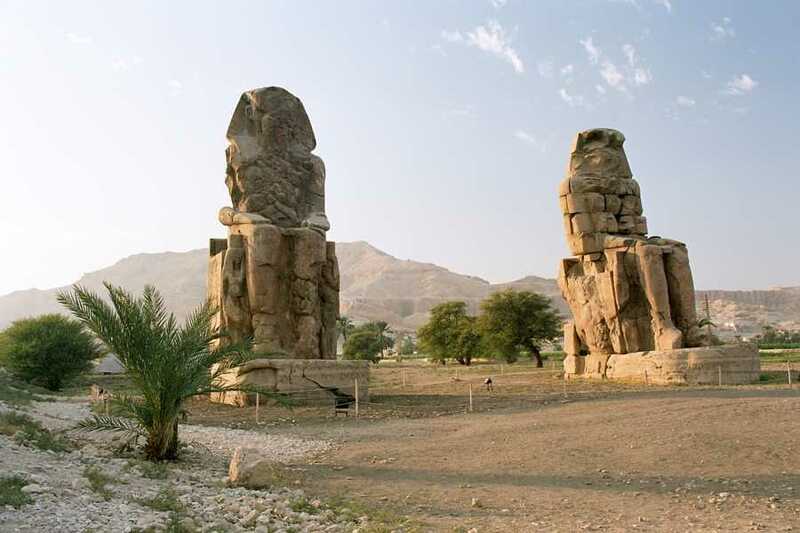 ), Colossi of Memnon (The two colossi are made of sandstone, which during ancient times was brought from Gabal El Silselah. Each colossus, including the pedestal and the crown, is about 21m tall and represents King Amenhotep III seating on his throne, wearing the Memes, or royal headdress, with the divine cobra protecting his forehead. On the sides of the colossi there is a representation of the Nile god Hapi, bending together the lotus and the papyrus plants, symbolizing the union of Upper and Lower Egypt) and Temple of Queen Hatshepsute (Hatshepsut was the fifth Pharaoh of the18th-dynasty who was one of the handful of female rulers in Ancient Egypt. 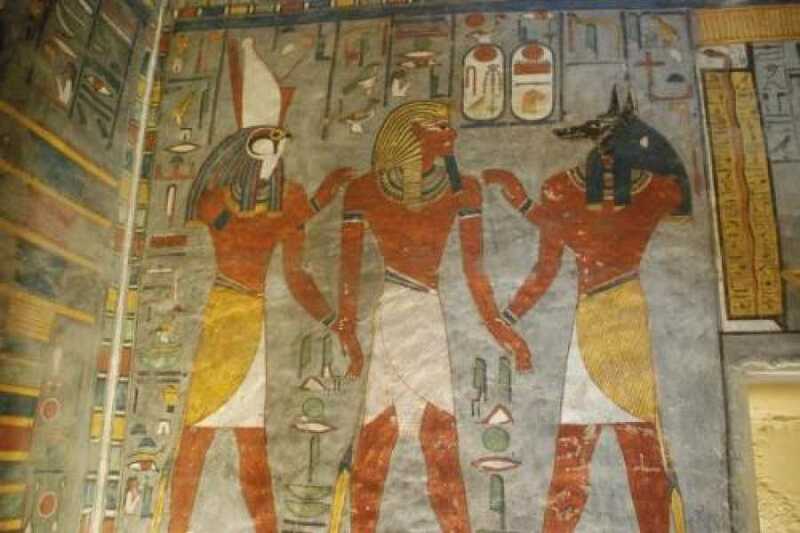 Her reign was the longest of all the female pharaohs. Her funerary temple still stands as a tribute to her incredible rise to power). 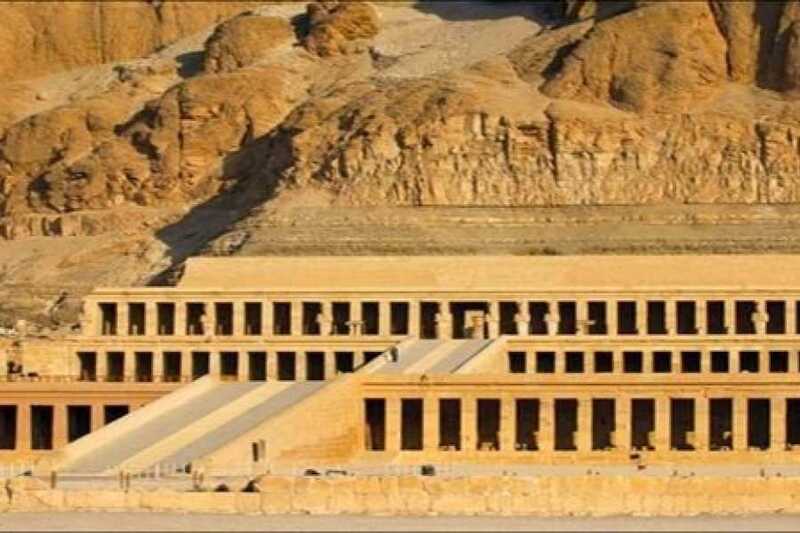 Then proceed to the East bank of Luxor to visit Karnak Temple, which is a serious of temples, built in different reigns. Starting by the Avenue of Sphinxes visit the Unfinished Propylon, the Hypostyle Hall with it's 134 gigantic columns, the Obelisks of Queen Hatshepsute and Tutomosis III, the temple of Amon adorned with lotus and papyrus designs, the Granite Scarbeus of Amenophis III and the Sacred Lake. At the end visit Luxor temple built mainly by amenhoteb II and Ramses II. The temple was the focal point for rituals and festivals. The temple has great pylon with carved episodes from the battle of kadesh when Ramses defeated the Hethisi. In the temple there is the twin Obelisk of the one present at the Concord square in Paris. 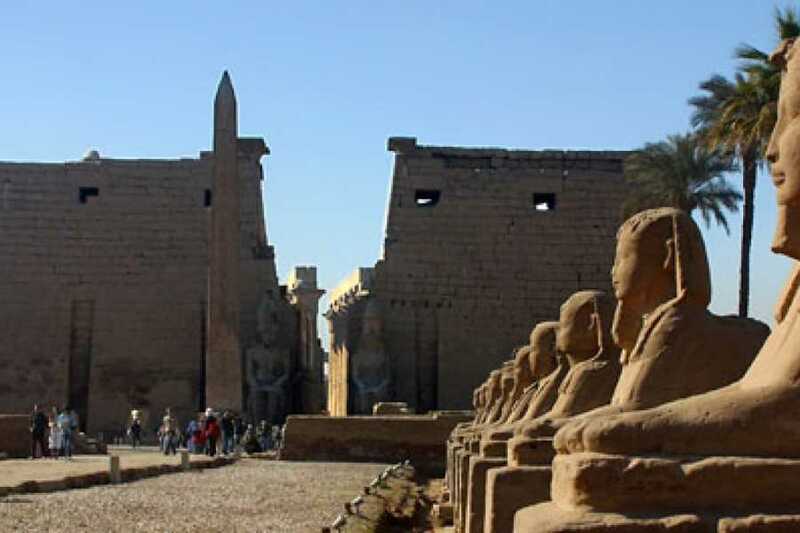 Luxor Temple is huge in scale — it once housed a village within its walls. It has several pylons (monumental gateways) that are some 70 yards long. The first pylon is over 70 feet high, fronted by massive statues and several obelisks. There are several open areas, once used for various forms of worship but now empty. Later additions include a shrine to Alexander the Great, a Roman sanctuary, and an Islamic shrine to a 13th-century holy man Abu El Hagag.